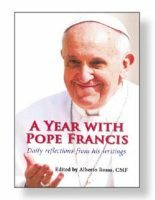 His Holiness Pope Francis I ( Jorge Mario Bergoglio) gifts and souvenirs. 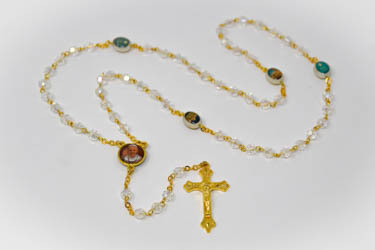 Pope Benedict & John Paul Metal Rosary. 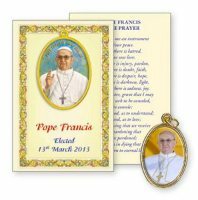 Pope Francis Crystal Rosary Beads & Prayer Card. 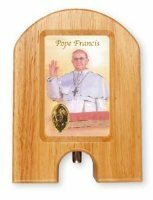 Pope Francis Crystal Rosary Beads & Rosary Box. 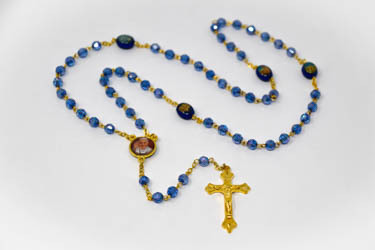 Pope Francis Blue Crystal Rosary Beads & Rosary Box. Book - Praying With Saint John Paul II. Pope Francis Windproof Cap Candle. Pope Francis Holy Water Dispenser & Lourdes Water. 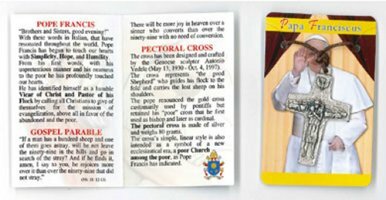 Pope Francis Souvenir Booklet & Medal.